The Journal of Child & Adolescent Mental Health will see the replacement of the abstracts sections with two new attractive sections - a case series section and a letters to the editor section. 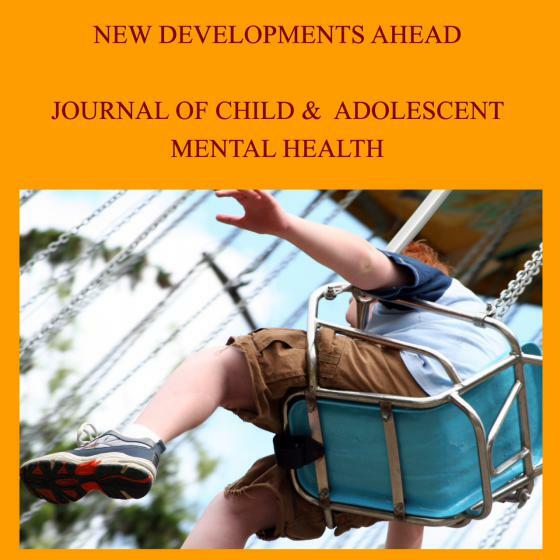 Other new developments include the aim and scope of The Journal which has also been revised with the objective to contribute towards the development of a robust and inclusive knowledge base for child and adolescent mental health across diverse contexts. To this end The Journal seeks to promote coverage, representation and dissemination of high quality work that is located in or addresses lower-resource contexts, such as those of the Global South regions. Papers from all disciplines addressing child and adolescent mental health are welcome, including specific focus areas such as epidemiology, mental health prevention and promotion, community-based interventions, psychotherapy, pharmacotherapy, policy and risk behaviour. The Journal publishes review articles, original research (including brief reports and case series), clinical papers in a ‘Clinical Perspectives’ section, letters to the editor, and book reviews. Case series (a report on a collection of patient cases) will be accepted, however single case reports will not be. Although the first issue of 2015 will be inclusive of abstracts, moving forward the two new sections will be included instead. As of October 2014, The Journal of Child & Adolescent Mental Health is officially indexed on Medline®. With access to Medline available through Pubmed and Ebscohost this serves as an excellent tool for exposure of research in The Journal of Child & Adolescent Mental Health. Read more about the indexing of this Journal on Medline here. Calls for future submissions can be read here.